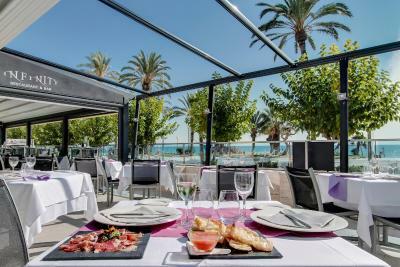 Lock in a great price for Calipolis – rated 8.5 by recent guests! Fantastic breakfast buffet with a wide variety. Bathroom with two sinks and lots of counter space was great, not the usual artsy pedestal sink with no place to put anything.The terrace on the room was wonderful, looking out over the sea with a nice table and chairs. Amazing location and view. Rooms huge and amazing balcony. They are basic rooms but super huge and comfortable. The location is the best. 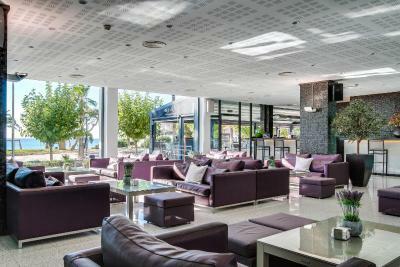 Hotel Calipolis was an ideal location. It is spotlessly clean, central to beaches and restaurants. The staff is multi-lingual, professional and friendly. The billing was accurate and easy to understand. 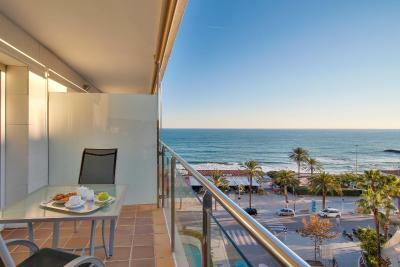 The location, directly across from the main beach, is exceptional. There is a nice casual restaurant across the street on the beach great for breakfast and lunch. ...just a quick walk into the city center. The location was perfect staff was friendly and helpful room had a great view! On checking in, they showed us 3 possible rooms and gave us a choice, which was very nice of them. Everything worked in the room. The room was clean, tidy and spacious. It was west facing and it was lovely to have a drink in the afternoon. Shower was fab! Enjoyed the gym and good restaurant. Calipolis This rating is a reflection of how the property compares to the industry standard when it comes to price, facilities and services available. It's based on a self-evaluation by the property. Use this rating to help choose your stay! 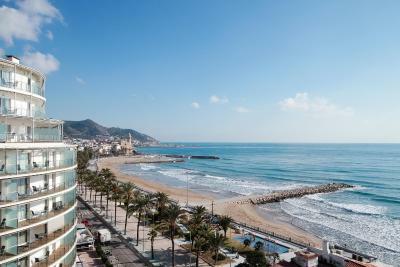 Calipolis is located in central Sitges, just 150 feet from the beach. 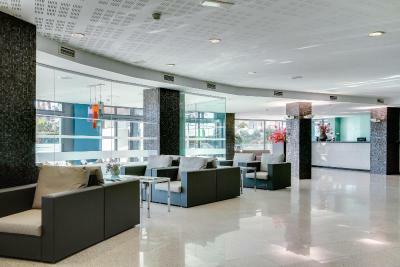 It offers a 24-hour reception, an outdoor pool, gym and air-conditioned rooms with free Wi-Fi. 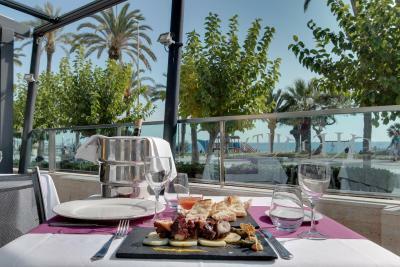 The hotel’s Infinity Restaurant offers Mediterranean cuisine next to the pool. 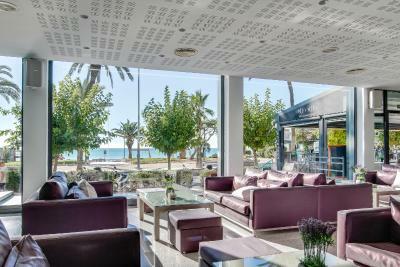 There is also a bar and summer terrace with views of the sea and promenade. You can rent bikes at reception. 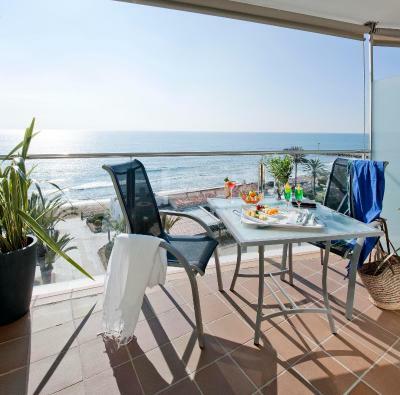 Sitges Train Station is 10 minutes’ walk away, connecting you with central Barcelona in just 45 minutes. Garraf Nature Reserve is 3.1 mi away, and El Prat Airport is a 30-minute drive away. When would you like to stay at Calipolis? Offering mountain views, this air-conditioned room features satellite flat-screen TV, free Wi-Fi, a minibar and a private bathroom. This room has a private terrace with sea views. It includes air conditioning, free Wi-Fi, a minibar, flat-screen TV and a private bathroom with a hairdryer. 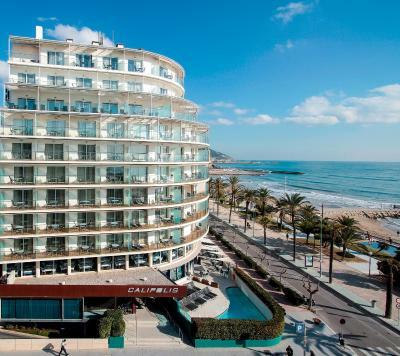 Featuring sea views from its terrace, this room includes air conditioning, free Wi-Fi, a minibar, flat-screen TV and a private bathroom with a hairdryer. House Rules Calipolis takes special requests – add in the next step! Calipolis accepts these cards and reserves the right to temporarily hold an amount prior to arrival. Please note that full payment must be made upon arrival at the hotel. 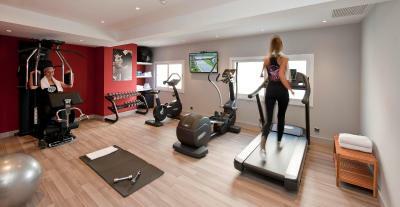 Friendly staff, comfy and clean rooms, great facilities. What’s not to like?! The air conditioning was not working very well in my rom! There was no kettle in the room and no soap either, only shower gel. The rooms were very bare and basic, a bit bleak. There were stains on the bathroom walls so even if it was clean it didn’t look it, and there were stains on our towels. It was fine for a couple of days, but it certainly didn’t seem like a 4* hotel to us, which was disappointing as this was a birthday trip. Nice balcony, breakfast was decent. Not happy with sofa bed for kids. Firstly not made up and secondly no covers or sheets available. Did not get sorted until late that night even though I had said it to reception. Sitges had everything from keeping a little boy to an adult interested, beaches were fantastic and very clean, plenty of variety in the way of food. Couldn’t fault thisasa holiday destination. Upom arrival we were given a room facing the street despite having booked and paid for seaview terrace room (as featured in pictures). When we asked to get the booked room the unfriendly receptionist told us that booking.com clients do not get the good rooms. As we insisted we got a seasode room. The room itself needs renovation. Pool is very small - more like a big bath-tub. Gym is small and uninspiring. I missed soundproof walls., not good to hear your neighbours , especially from above. The door helps only a little. 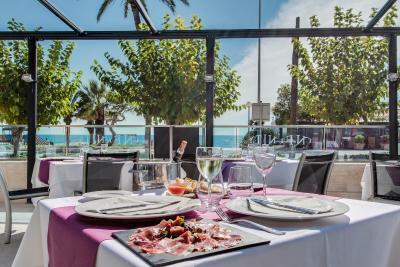 After several misleading answers, the manager finally admitted that yes, while the hotel's website states that the Mirador restaurant is "Open every day of the year", this was untrue - it was open only for breakfast. No attempt was made to explain if this was a seasonal closure, a staff problem or whatever. A week later, the website continues to provide misleading information. The attitude of the receptionist and the manager was appalling - alternatively dismissive and then seemingly amused at our disappointment. A free bottle of cava and some chocolates did not compensate for a two hour wasted drive. If anything on the hotel's website is important to you (restaurant, gym, pool etc) check in advance and get their promises in writing. My rating is inflated by the undoubted pluses of location, cleanliness and room comfort. No coffee in the room; this was not a big problem, but it's always nice to have a first cup while waking up and getting ready to go out. Other than that, I would not change a thing. 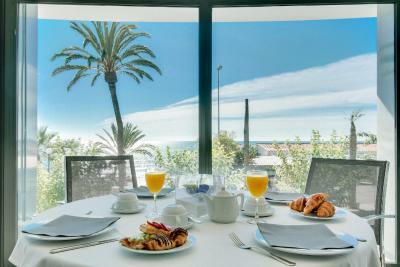 The Calipolis Hotel in Sitges is a standard hotel without much character. I have known this hotel for many years and saw the recent refurbishment. 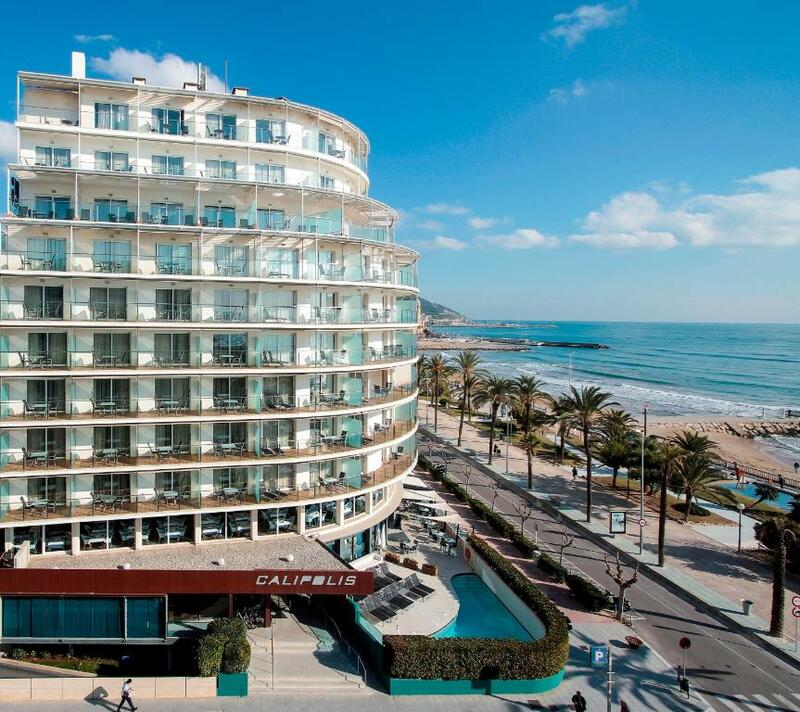 What makes this hotel stand out is its excellent location on the Mediterranean! No tea/coffee making in room. 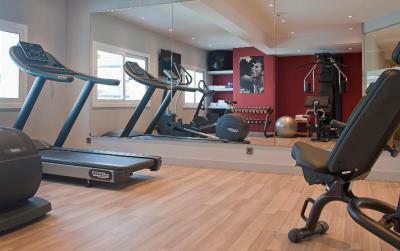 The gym is very small, so is the pool. Food in the hotel was very average, so i would avoid having every meal in there and go exploring outside. Nice location, right on the sea front. Amazing view across the sea. Comfortable bed. Lots of bars / restaurants in the area.